Welcome to STATUE M A R V E L S! All times are GMT -3. The time now is 09:26:13 AM. 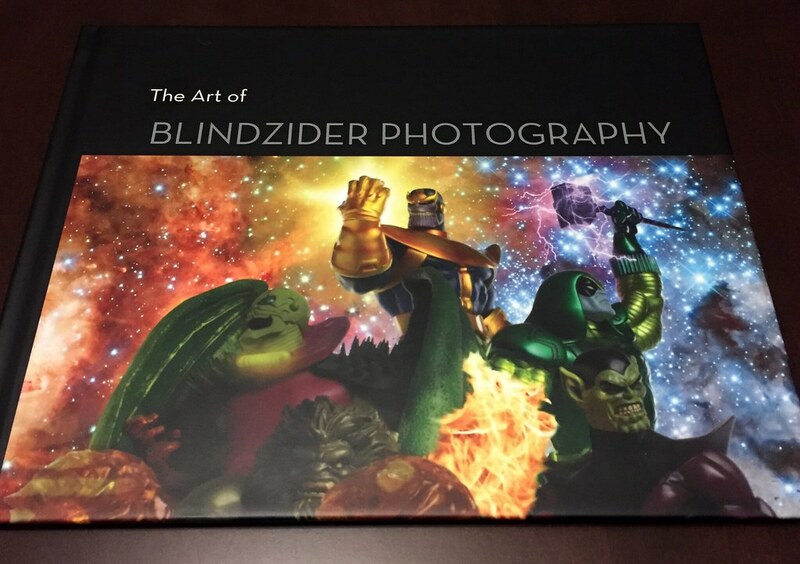 StatueMarvels members, I am pleased to announce that I am now offering copies of my photo book, The Art of Blindzider Photography for sale. This is a collection of digital art pieces I did from the first two years of learning photography. The 8 3/4" x 11 1/4" hardcover book has 24 full color pages showcasing the various art prints I've done over the years. These include Hulk vs. the Army, Captain America at Normandy, as well as the noir/black and white pieces. Prices are a flat $41 that includes shipping anywhere in the US with insurance and tracking. For each additional book, add $1 to the total cost. Each book is already shrink-wrapped and will be sealed in a bag for moisture, then wrapped in cardboard. Only PayPal will be accepted, preferably sent as a gift, otherwise include an extra 3% for fees. I will also ship to Canada and Mexico, but you will have to pay $35 plus whatever the cost is to ship to your location. International fans, please be patient, next year I hope to ship outside the US. Because I don't want to buy a lot of inventory initially, I will only have limited quantities available at a time. When I run out, I'll order more and update the post when they are available. Right now I only have a few copies to sell and orders will be fulfilled "first come" into my email inbox. As a special thank you, these first five will receive a free gift: an 8"x10" glossy photo of one of the pieces in the book. Feel free to include one or more requests for the free photo you would like. I can't guarantee you will receive that one, but I will do my best. 1. Do NOT PM me. Please email blindzider@gmail.com and include your name, shipping address and quantity. 2. I will email you back whether stock is available and if so, I'll send you an invoice. 3. Send the payment via PayPal to blindzider@gmail.com and include in the note the invoice number I send you. 4. Once payment is received, I will ship out the book and email you the tracking number. 5. I would appreciate a post here or an email letting me know you received it and everything is ok. I expect to be ordering another bulk quantity in early January. Thanks to everyone for all of their support! Here are some sample pictures of the book. Some pages may be slightly different from what is shown here. Feel free to post a question if you want to know if a particular piece is included. Last edited by Blindzider; October 7th, 2018 at 11:14:45 AM..
Congrats, Blindzider, great achievement! Looks really good. Have you considered publishing with Hulu? They are an online publisher and will print to demand your book, ship anywhere in the world, offer different formats for sales and have a huge client base to (hopefully) sell your product to. I have not used their service in a year or two, so I am unsure what their fees are, but it would save you form needing to have stock on-hand. Thank you Hedgehog! I was wondering if something like this existed because I definitely don't want to do the shipping myself. Cost is a major factor though, I'm trying to keep the cost as low as possible. This is an amazing book. The post above / pictures don't do it justice. Got to see it in person at the RB seminar and it DOES NOT disappoint. For those of you with the massive man caves, or even those of you who just like the statues, this should be a must have. FYI: Any orders placed the week of Christmas (Dec 25-30) will not be filled until the week of January 1. I may not even be able to respond to emails. Thanks and happy holidays! Thanks again for your support. At least she pretended and it was just flat out disdain. Congrats on completing this sir!